A couple of years ago, Fab mixed the Kirk Whalum record (that went on to get a couple of Grammy nominations) which was mastered by Greg Calbi, one of the greatest mastering engineers in the world today. At the time, listening to the mixes, Greg wondered how Fab could have gotten the bottom he got on the record. That was the beginning of Greg's relationship with the Dangerous BAX EQ. A few weeks ago we went with a camera to check on him (and his BAX) on behalf of our friends at Dangerous Music. During the interview he went on about many other things which we found very interesting so we thought we'd share. Take a few minutes and listen to genuine audio wisdom from one of the few who can speak with a flawless track record. 00:22 - Your thoughts about the music business ? 01:12 - How do you compare to home studios ? 02:53 - What is stem mastering ? 09:03 - How do you deal with harsh sounding mixes ? Greg calbi, a managing partner and senior mastering engineer at sterling sound, has mastered more than 7,500 albums in his 40 years of mastering. 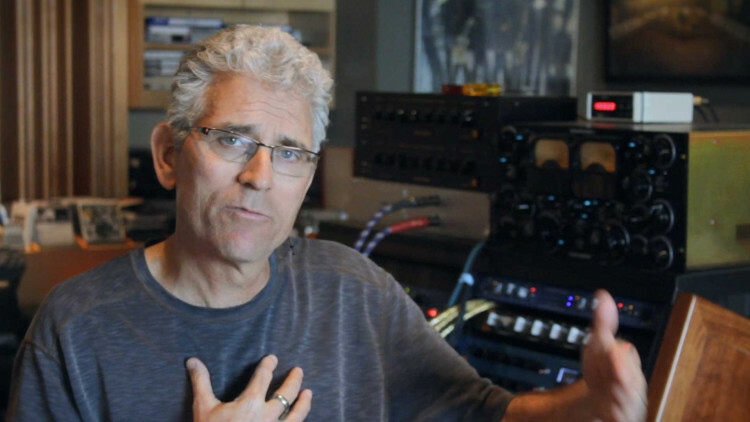 Greg started his career in 1972 as an assistant studio engineer at the famed Record Plant. Eventually his path led to the mastering room. After only two years as an assistant, he began cutting vinyl for such 70?s classics as John Lennon's "Walls and Bridges", David Bowie’s “Young Americans” and Bruce Springsteen’s “Born to Run”. Greg joined Sterling Sound at the inception of New York’s punk music scene. 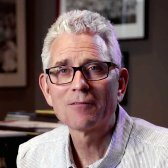 Greg mastered albums for The Ramones, Television, The Talking Heads and Patti Smith. In the mid 1980?s, after mastering Paul Simon’s “Graceland”, he began to add jazz and world music to his discography, including artists: Bill Frisell, Joshua Redman, Joe Lovano, Michael Brecker and Branford Marsalis. stems seem like such great way to work, but 1db up or down is such a massive change when so many instruments are included in one fader.....more subtle changes are the way to go..no? Love this! A lot of insight gained. Not sure I understood about the stem. Would I do the best mix I can then mute everything but the drums, everything but the vocals, everything but the guitar etc. So I would send the whole mix and some stem? Would that make the Mastering more expensive but allow more flexibility to the master engineer? Mastering is - 1> knowing what the song should sound like or how it needs to be adjusted aka finding problems, 2> knowing the environment/room/speakers where you master, 3> knowing your equipment (outboard) and software really well, 4> and being good with listening to client requests. That sums it up I think. Is this a sales pitch for the Bax or an educational video? I love the videos here on Pure Mix but this comes across like a shameless plug. I'm probably wasting my time with this comment as I have yet to see them post a negative comment and I've seen one of mine disappear. Prove me wrong and post it. I'm a paying customer and would rather see honest reviews of the videos. One more thing....the whole idea of stem mastering puts the mastering engineer in the position of the mix engineer. I remember seeing a video with George Massenburg being very critical of the whole idea of stem mixing. Haha, great interview, the end is funny. Fab, Thanks A lot!! even if i print and export from protools..i do not use the bouncing option..
@reymusic: you do not need to dither out of ProTools because the L2 basically empties the bottom 8 bits of every word on that digital stream, it leave sa bunch of zeros in there. You just need to truncate that to 16 and move on. Hey Fab, I master my track in protools in 48,24bit and use an external compressor and go back into pro tools also add the L2 Limiter plugin add the end of the chain..when I'm ready to print my track i dither the L2 in 16 bit and export the track in 16bit,44..do i need to dither in pro tools as well or dither the L2 in 16bit at the end of the chain will bring my tack to 44,16bit?